2013 TEXAS RANGERS TICKET DISCOUNT LIST ~ $12 TICKETS! 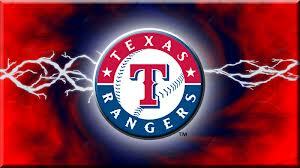 It is finally that time of year to cheer on our TEXAS RANGERS! If you have “Take Me Out to the BallPark” ringing in your ears, here is a list of ticket deals to get you there. Purchase $12 Upper Reserved tickets using the coupon code FOXSports for May 20, May 30, June 10, June 13, and July 2 courtesy of FOX Sports Southwest. Offer is subject to availability and cannot be combined with any other offer. Limit 12. Additional persons may be added (one program per four tickets, one kids zone wristband per two tickets). Offer is available online, via phone, or at box office with the coupon available on Coca-Cola 2-Liter packaging at retail for all non-premier regular-season games. Offer is subject to availability and cannot be combined with any other offer. Limit 12. Any Dr Pepper, Diet Dr Pepper, or Dr Pepper Ten can may be presented at Rangers Ballpark in Arlington or DRPEPPER entered as the coupon code online to receive $5 off tickets in Lexus Club Terrace, Upper Box, or Upper Reserved. Offer is valid for Sunday-Thursday home games in April, May, and June, excluding April 7 and May 5. Offer is subject to availability and cannot be combined with any other offer. Limit 12. Purchase $15 Upper Reserved tickets online for Friday night home games, excluding May 3 and Sept. 27, when you enter FIREWORKS as the coupon code online. Limit 12. Offer is subject to availability and cannot be combined with any other offer. Tickets for most Tuesday home games are half price in Upper Reserved, Upper Box, Lexus Club Terrace, and Lower Reserved when purchased online with OZARKA as the coupon code at texasrangers.com. Offer is not valid for July 23. Offer is subject to availability and cannot be combined with any other offer. Limit 12. Previous postQuikTrip ~ FREE Big Q Fresh-Brewed Tea June 10-12! Next postREMINDER: Celebrate Kids Days @ Peter Piper Pizza Tuesdays this Summer!